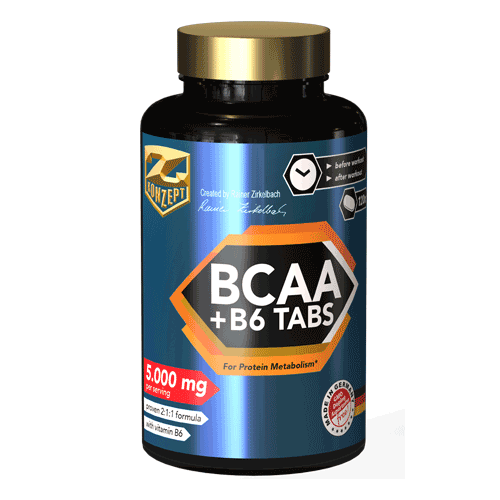 BCAA+B6 Tabs offers essential amino acids as an easy to use tab. Amino Acids are the basic building blocks of protein. People who exercise may require greater amounts of protein and amino acids. 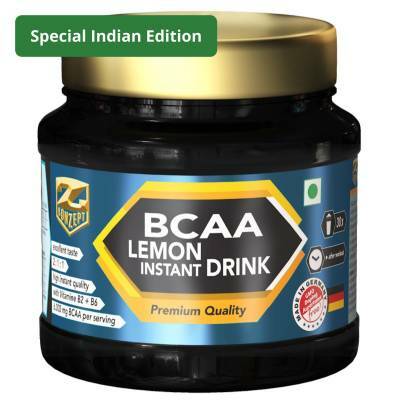 First of all BCAA (short form for branched chain amino acids) are essential for humans, which means that they have to be consumed with your nutrition and cannot be created in your body. 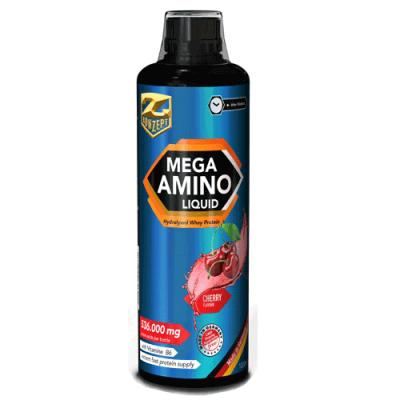 In contrast to all other amino acids BCAA are metabolized directly and not indirectly thru the liver. That means they go straight into the muscle cells. Furthermore BCAA represent the highest amount of amino acids in muscle tissue. 1.) 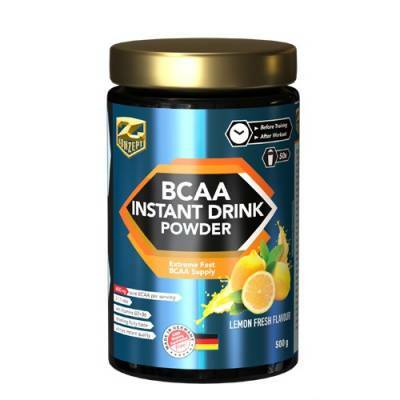 From BCAA the metabolism can obtain glucose and this is very important during intense exercise or low carb diet, where the availability of glucose can be restricted and then BCAA out of the muscle tissue would be used to obtain more glucose (gluconeogenesis). Therefore additional BCAA intake can protect your muscles and this is called the Anticatabolic Effect. 2.) BCAA, especially l-leucine, trigger growth processes in the human body thru the activation of an important enzyme called mThor. This enzyme is the starting point for activating protein synthesis. In addition relevant amounts of BCAA push the release of insulin which is the strongest anabolic hormone in the body. 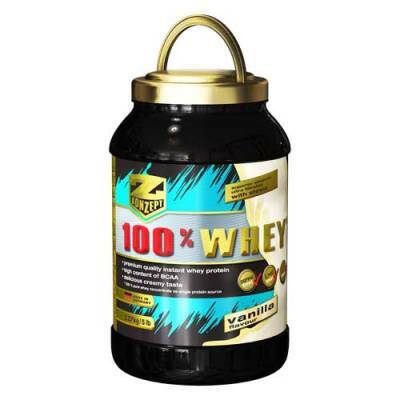 That means BCAA taken straight after training accelerates muscle growth process. These tablets can be portioned and swallowed easily. L-leucine (30,8 %), filling agent cellulose, L-valine (15,4 %), L-isoleucine (15,4 %), tri-calcium phosphate, separating agent (magnesium salts of fatty acids, silicon dioxide), vitamin B6 hydrochloride. Allergen Information: May contain traces of gluten, lactose, soy and hen´s egg protein. Directions for use: 5 tablets before and after workout with a glas of water. Keep out of reach of children. Food supplements should not be taken as a substitute for varied and balanced diet.